It’s important to express solidarity with Belgium at this time of grief and fear, but we have to also start thinking longer term about these kinds of events. One of the overlooked factors leading to the Paris and Brussels attacks is something we’ll be living with a long time: climate change. 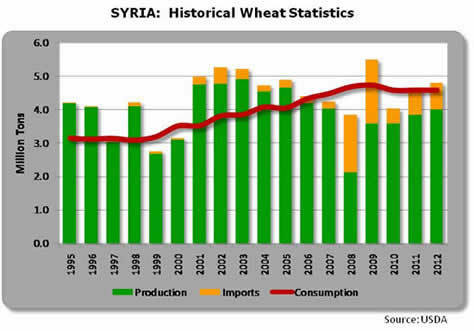 In 2011, there was enough wheat in Syria, but only if you had the money buy it. 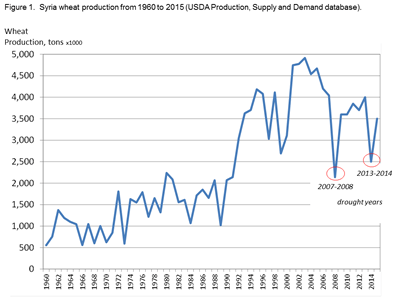 In some places the price of bread had risen ten-fold. 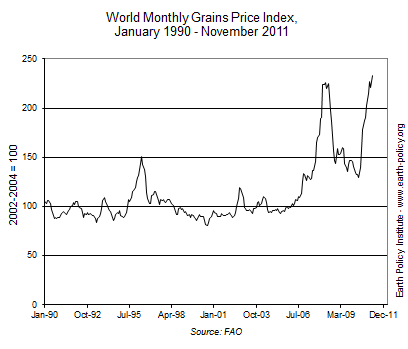 High food prices can destabilize any country, regardless of its culture or religion. 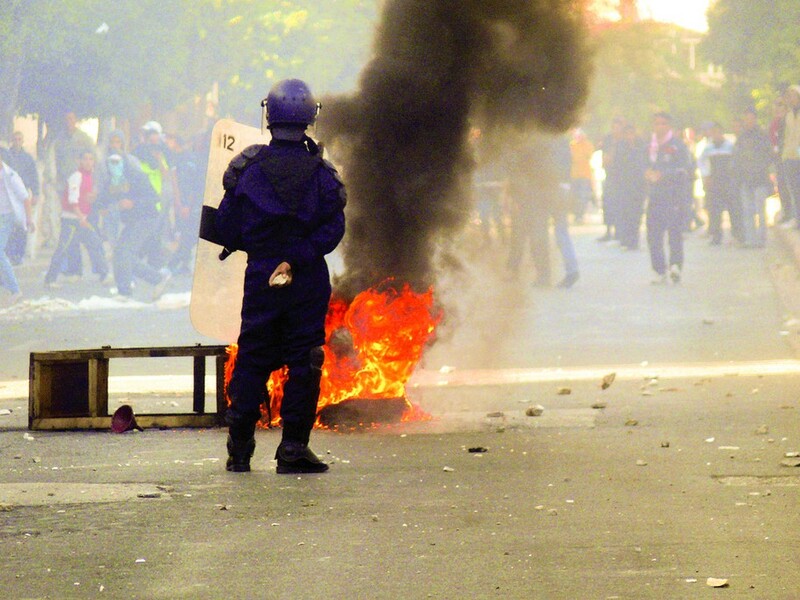 The French Revolution began with bread riots. So did the Arab Spring in 2011. Any country with large numbers of hungry, un- or under-employed people is a threat to peace and international security. 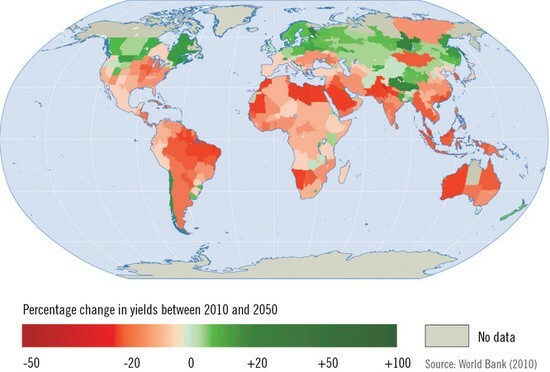 Think of this not as an agricultural map, but as a risk map. Where an area of climate-induced agricultural failure coincides with an affluent population that can afford to source its food globally, the risk can be discounted. But other countries won’t be able to afford to roll snake eyes when it comes to local harvests and global commodity prices. Some of those countries are important US trading partners and allies. I am not suggesting we don’t need a security apparatus response to terrorism. Of course we do. But ISIL isn’t an aberration; it’s the start of a long-term, climate-driven trend that will cross religious and cultural boundaries. A security response won’t be enough; we need to get out ahead of that trend by addressing global food security. That’ll require an “all of the above” approach: both reductions in human contributions to climate change and preparations for the changes we can’t avoid.